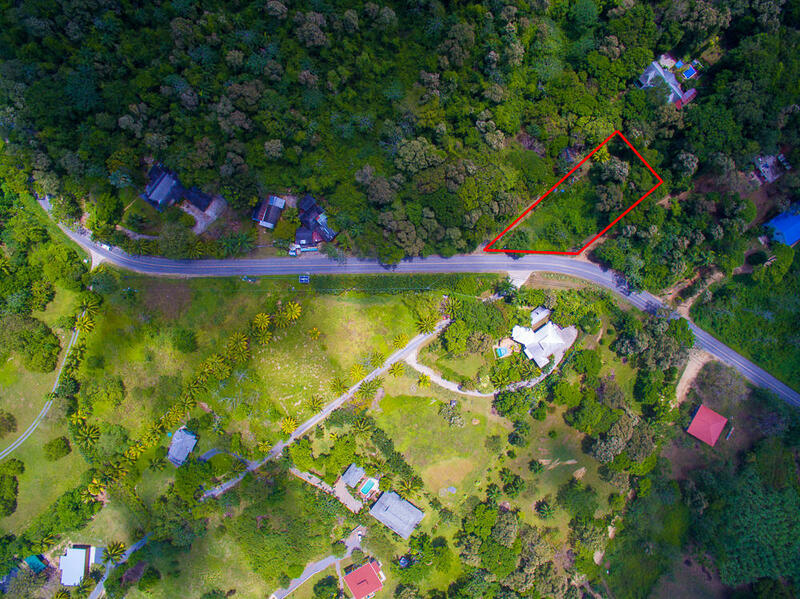 Almost ½ an acre in a prime and highly coveted part of Roatan. This property has an estimated 135 feet of main highway road frontage for serious exposure, while at the same time extending to the back away from it all for quietness and privacy. Across the main road is Sandy Bay Beach and its world-class diving spots, including Spooky Channel. The property can be used for residential or commercial purposes. General Views: Jungle-like Views on the back of the property and highway frontage in front. Directions: Across the main road to the entrance of Sunnyside.